2014 was a year of simple pleasures. Not as much personal travel this year as in the past. Spent precious time with friends and family in California, Connecticut, Ireland and Spain, as well as with visitors from Ireland, Carolina and Philadelphia. None of whom are included below due to potential legal action. Provided marketing consulting services for former colleagues and new friends. Met some wonderful people who provided valuable start-up business advice. 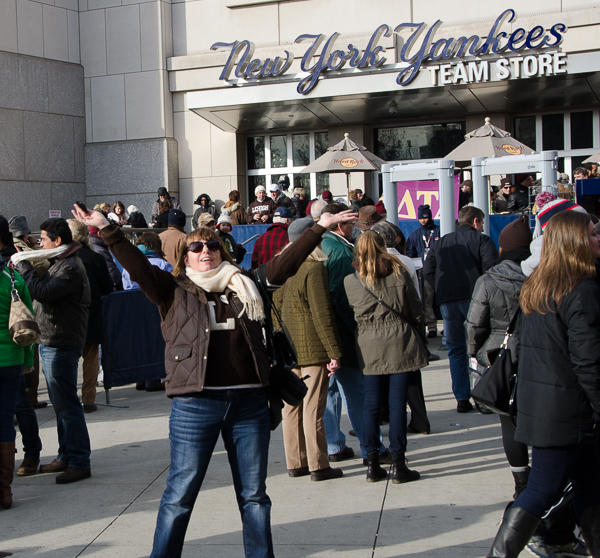 Had the thrill of experiencing the 150th Rivalry of Lehigh vs. Lafayette at Yankee stadium. The highlight was not the football game, but instead hugging Alpha Phi sisters and friends as if two decades had not passed. Yet, we squeezed into our hugs a little harder. At 9+ years of age, Trin-dog is aging gracefully though even mild summer heat left her with a turtle's pace. May you find health, happiness, peace and prosperity throughout the coming year! Thank you for your holiday greeting comment!